Whether your children are older or younger, you’re bound to eventually experience the joys and difficulties of raising a teenager. However, while raising a teenager can be difficult, it’s also a very rewarding experience. Your teenager is not trying to be difficult, he or she just wants understanding. While there are many difficult aspects to raising teenagers, planning the perfect birthday doesn’t have to be one of them. For the best teen birthday party ideas visit Rockin’ Jump Winston Salem, the coolest birthday party venue. Regardless of your child’s age, Rockin’ Jump has fun games for them. As a parent, do you constantly stress about where to host your teenager’s next birthday party? You want something that’s fun, affordable, close to home, and stress-free for you. Additionally, your teen is at that age when everything must be cool, even their birthday parties. Having a cool birthday party is easy when you visit Rockin’ Jump. Recently named the Best Family Entertainment and Best Kid’s Birthday Place from Winston-Salem Journal readers, they have something for everyone. Before we get into birthday party specifications, let’s first talk about their many unique games and attractions. At the Winston Salem location, teenagers will enjoy a wide variety of attractions. Choose between X-Beam jousting, Lazer Frenzy, the Stunt Bag Arena, the Slam Dunk Zone, Dodge Ball, and an open jump area. In addition to the jumping attractions, there is also a giant rock-climbing wall and an arcade. These activities are perfect for when jumpers want a quick break from jumping but don’t want to stop the fun. Also, for an extra dimension of fun, you can choose to visit at night for their After Dark hours. That event is especially appealing to teens, since it involves great music, strobe lights and glow-in-the dark accessories! Lastly, do you have little jumpers under the age of 6? 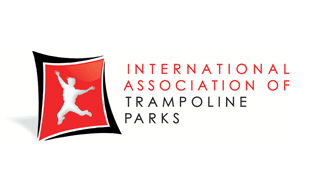 Never fear, Rockin’ Jump accommodates them with their 6-&-Under Jump Zone and the 6-&-Under Climbing House. Furthermore, there is even an Interactive Play area where children will delight in colorful pictures projected onto the floor. So, even small jumpers have several games and attractions in which to jump and play. Now that you know the attractions that Rockin’ Jump has to offer, let’s talk about birthday party specifications. When you book birthday parties with them, you have three options: silver, gold or the platinum party packages. First, the silver party package comes with 10 jumpers, 2 pizzas, and 2 two-liter sodas. This package is $169 during the week and $209 on the weekend. Next, the gold package has 15 jumpers, 3 pizzas, and 3 two-liter sodas. The gold package is $239 during the week and $279 on the weekends. Last and finally is the platinum party package with 20 jumpers, 4 pizzas, and 4 two-liter sodas. Platinum packages are $309 during the week and $349 on the weekends. Basically, the prices are determined by the number of guests. All birthday parties come with 90 minutes of jump time, an awesome party host, and a special private party area. Additionally, all packages include food, soft drinks, plates, invitations, thank-you notes and favors. Moreover, add any number of extra guests to any birthday party package for an additional $18 per jumper. You just bring the guest of honor and the cake and then relax and enjoy the party! Plus, any birthday party package is available at night, for a special, After Dark adventure. Please note that After Dark birthday parties are only available to guests on Fridays or Saturdays. Rockin’ Jump Cares About Your Satisfaction! Rockin Jump tries to serve you in all they do. Therefore, they take the time to listen and meet their customers’ needs. It’s for this reason that they always respond to their reviews, both positive or negative. Among their many positive Facebook reviews is this one written by Lorie. She writes, “We always depend on Rockin’ Jump for every children’s event in our family.” Lorie ends her review by praising the company for always pleasing both her and her children. Like Lorie, you too will have a stellar experience as the dedicated staff will work to serve you. Finally, did you know that Rockin’ Jump has a second location? It’s true! For all Greensboro residents, visit their Greensboro location today! To book a party of your own, visit their booking page or call them with any questions at 336-896-9100. When you’re looking for teen birthday party ideas visit Rockin’ Jump Winston-Salem for endless adventure!